New in roster: Jartse Tuominen !! With a voice and classic writing style reminiscent of torch singers past, Kareña can belt out those blues or sizzle with smoky jazz vocals. 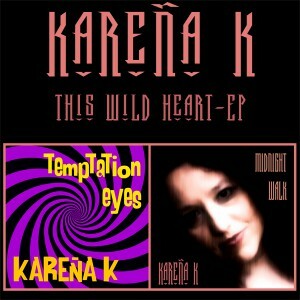 Hailing from the north of England originally, Kareña came up through the big band scene there before embarking on what became an international music career that has taken her far and wide. She is currently working on her solo album and warming up the new line up. Kareña is also involved in multiple recording projects with Wily Bo Walker, including ‘Moon Over Indigo’, WBW’s solo album, which involves some of the finest musicians from across the globe released September 2015. Track ‘Long Way To Heaven’ was runner up in the final nominations for the 2015 British Blues Awards for Best Blues Song. Midnight Walk and Temptation Eyes, début tracks from her forthcoming solo album, produced by Wily Bo Walker, are currently on release. More to come in 2016 including live shows with her own band. Check band-page!